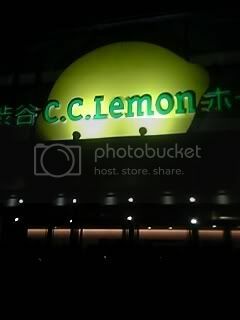 Last night I went to Shibuya's C.C. Lemon Hall (formerly Shibuya Koukaidou) for Kimeru's K's Ark 2007 Live! Oh the memories this venue holds. I met a really cool friend the first time I went here for K's Ark. As always, Kimeru brung it! This time instead of taking us to sea, we were on a voyage to space. And Kime brought his quite impressive space suit. :p It was quite interesting as it had it's removable parts which Kime would strip throughout the live. This and his tour gear outfits were his only main outfits of the show. I was a bit surprise he didn't change more...at least compared to the past but it's all good. Doesn't really matter to me. The lighting fx where also good. There were lights behind Kime that could sometimes even draw your attention away from Kime. Towards the 2nd half of the show, there was also a huge video screen above which made it easier for those in the back to see. There was a lot of holding hands in this show. Kime had the audience join hands as he sung Colors and then again as he gave his final bow...which we responded with a hand in hand bow back. :p Kinda cheesy but fun! Well had a great time! Looking forward to the next live!